This house can be yours for just millions of dollars. Prices of detached homes in Vancouver might be taking a (very, very slight) dip, but this property is here to show us that the city's real estate market hasn't lost its ability to be astronomically inaccessible to the majority of humanity. This four-bedroom house in the city's west end is calling out for a buyer who is prepared to give it a "little TLC," according to its listing. That, and almost $7 million. The house, which was built in 1922, is sitting on a 4,323-sq-ft. lot, according to its listing on Realtor.ca. It's described as a "great opportunity for investment and self-use." The house was listed in 2015 for $2.1 million, according to an article in the Vancouver Sun. 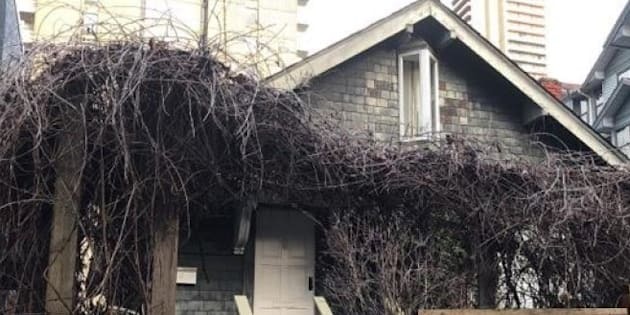 It sold for $2.8 million because, well, Vancouver.